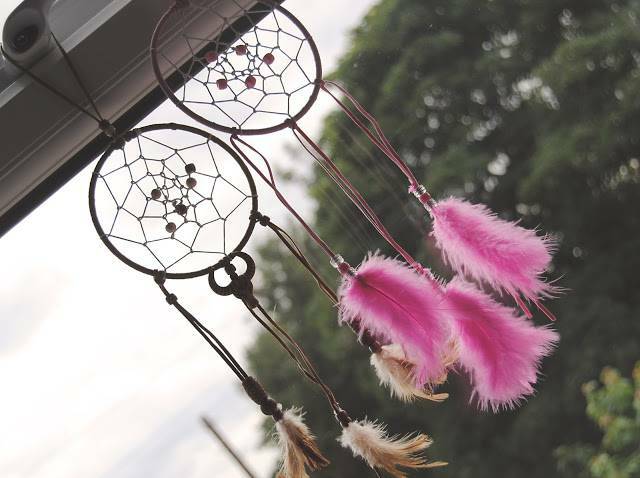 Legend Says that Dream Catchers Trap Bad/Evil Dreams. 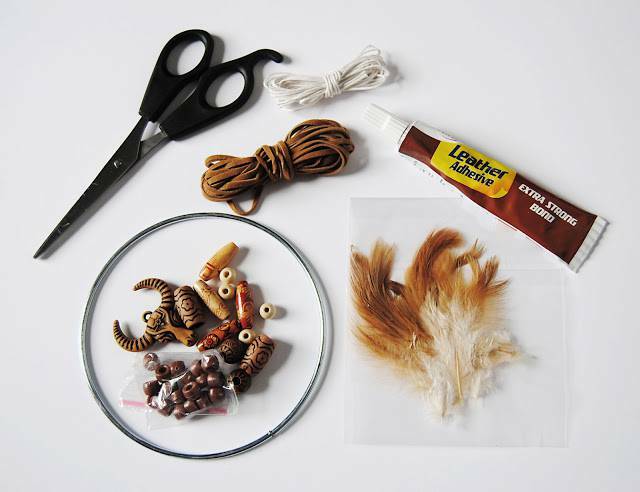 Check out the steps to make one for yourself. Let’s start by wrapping the cord around the hoop. Continue to wrap the cord around the hoop tightly. When you get back to the top use more glue or knot again. 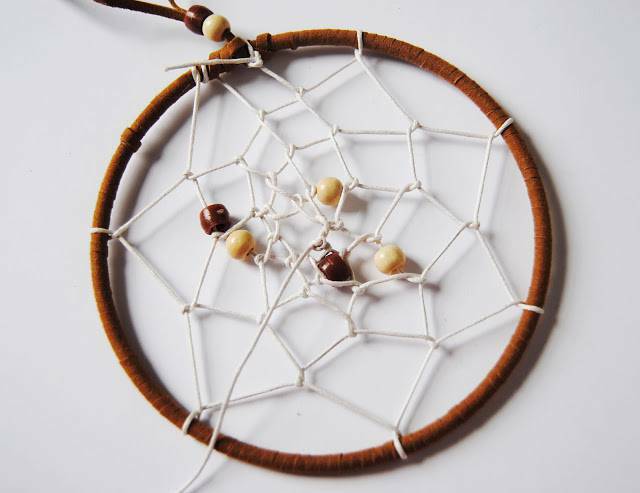 With the left over cord, make a loop from which your Dream catcher will hang. You can attach a bead at this point too. Now it’s time to start creating the web. Tie the string to the top of the hoop. 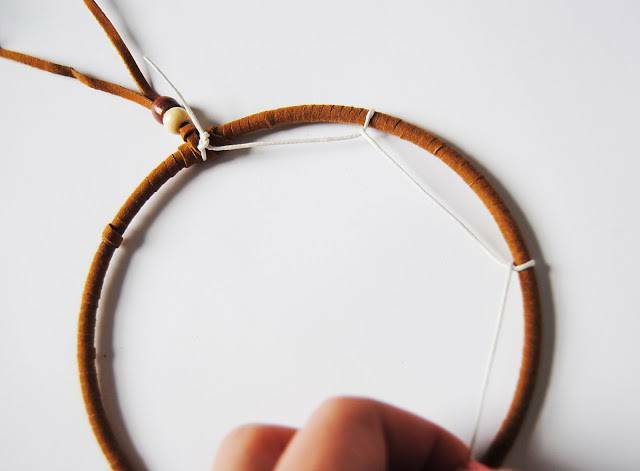 You need to make a curved shape with your string about 6cm down. Loop this over the hoop frame as shown in the photo above. Pull tight. Continue to do this – moving around the hoop as you go. 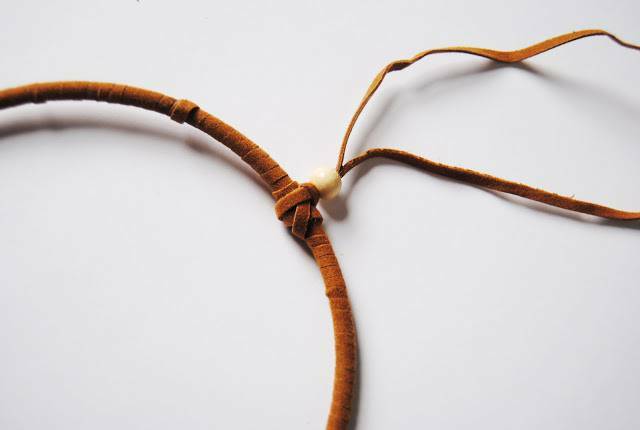 Try and make each section the same width and don’t forget to be firm with your string. When you reach the point from where you started, start moving over the string pattern you just made. See the pic above. Continue doing so and add beads wherever you want. Once you reached the middle, you will notice that the triangles formed are getting smaller and when it’s difficult to move the cord, just tie the knot with any nearby triangle. 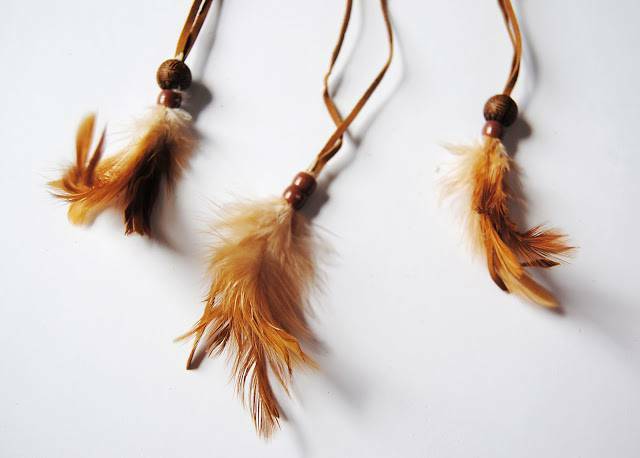 Now, you can hang feathers and beads with the help of strings at the bottom half of the hoop as shown above. 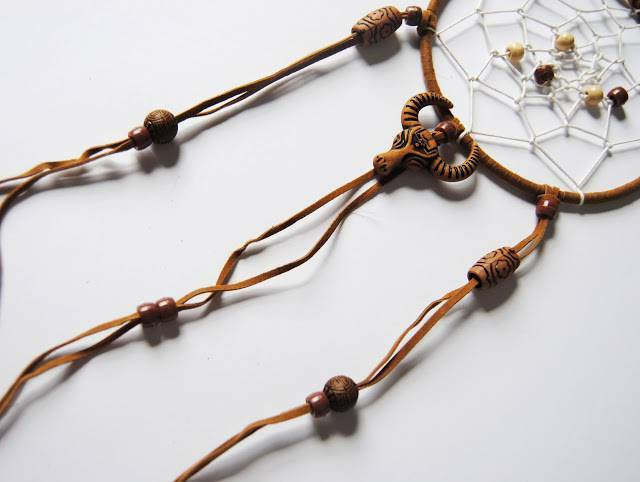 Cut off any extra strings, and your Dreamcatcher is ready to protect you from bad dreams. 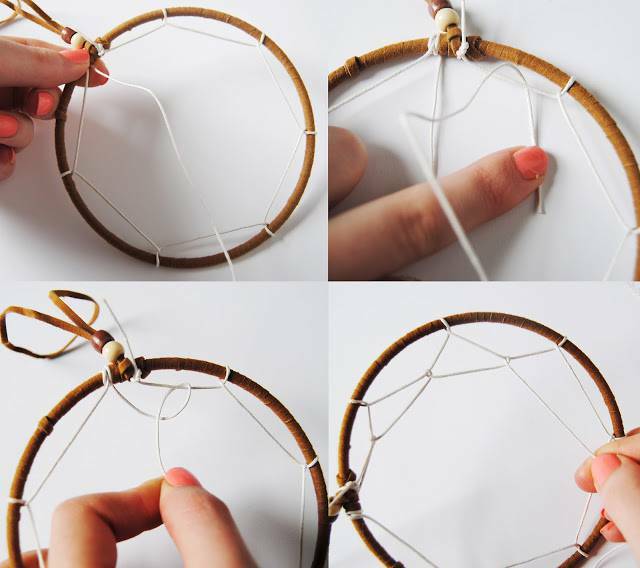 This is the complete tutorial on how to make a Dreamcatcher easily.